Born in Israel, 1987, Ofer obtained his Bachelor of Music in Cello degree at the Tel-Aviv University Buchmann-Mehta School of music, where he studied with Prof. Hillel Zori and his Diploma degree at the Hochschule für Musik Cologne, Germany, with Prof. Claus Kanngiesser. He also completed his Masters degree and post-graduate studies with Prof. Clemens Hagen and a post-graduate degree with Prof. Enerico Bronzi at the Mozarteum University, Salzburg, Austria. In addition, Ofer has regularly collaborated with his mentor, Prof. Uzi Wiesel on several occasions ever since. Ofer performs regularly in Israel and throughout Europe. In February 2010, he has played his Debut Recital in the Carnegie-Hall, New-York. As a soloist, he has performed with Deutsche Kammerakademie Neuss, Georgische Kammerorchester Ingolstadt, Moscow Chamber Orchestra of the Slobotkin Center, the Georgian Sinfonietta Tbilisi, Haifa Symphony Orchestra and others. Ofer regularly performs Israeli compositions such as the rarely played Cello Concert by Paul Ben-Haim and has recorded all of his works for Cello and Piano and Cello solo. Prize winner of the “Bucchi” International Competition for Cello in Rome, 2011, the “Enerico Mainardi Cello Competition”, Salzburg, 2012, the Buchman-Mehta school of music competitions, in both Solo and Chamber music categories as well as special prizes at the “Allegro Vivo” festival in Austria, and the “Paul Ben-Haim” competition in Israel. In light of his excellent achievements, he was granted the American-Israeli cultural foundation scholarship and has been its holder since 2007. As a chamber musician, Ofer is regularly invited to perform and teach at festivals around Europe and in Israel. He has played in Israel’s notorious chamber music societies and gave many concerts in numerous European concert venues where he performed with many renowned players, such as Howard Klug, Rudolf Koelman, Ludwig Mueller, Tomer Lev, Vladimir Ivanov, Daniel Ottensamer, the “Aviv” quartet and others. 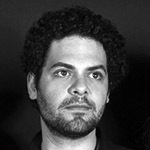 Ofer is one of the founding members of the “Testore Quartet”, which debuted in the summer of 2013 with their premiere performance at the Arnold Schoenberg Center, Vienna. Their first professional recording took place in the ORF RadioKulturhaus, Großer Sendesaal, Vienna. Several performances followed this event, among others the Brucknerhaus Linz, the “35th Musical evenings of Piran”, the “Tartini Festival” in Slovenia and the 2nd “Salzburg Chamber Music Festival”. The Quartet was recently awarded the String Quartet Prize by the “Artis Quartet” at the ISA festival, Austria. Since 2010, Ofer is the principal Cellist of the “Salzburg Chamber Soloists” and since 2012 the solo-cellist of the EU sponsored “PurPur” Orchestra in Croatia.